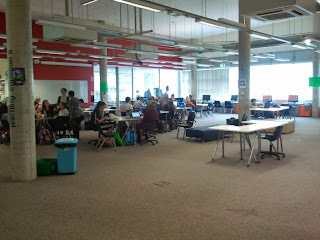 Yesterday I had cause to think about 'learning environments' and innovative teaching and learning. As various school embark on new buildings and look towards what that may look like as well as the challenges and questions faced. 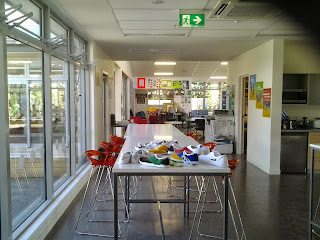 I thought I would share some thoughts based on my experience as a classroom teacher at St Andrew's College (StAC) and based on my inquiry on MLE. 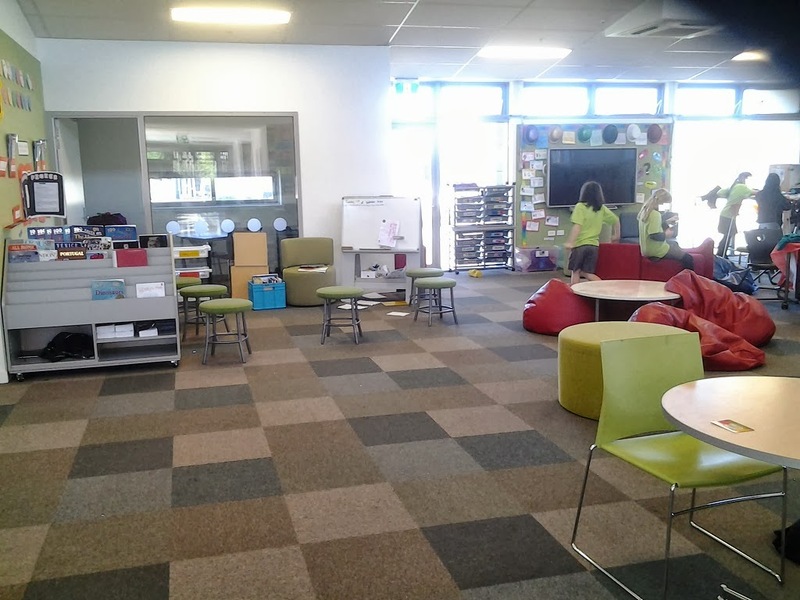 It is not about the shiny new furniture or how big the classroom is. 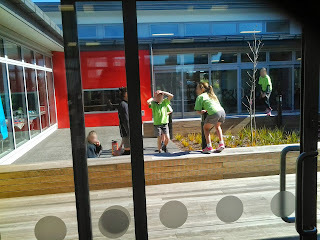 Innovative teaching and learning which has collaboration and knowledge building/creation can happen in any environment. 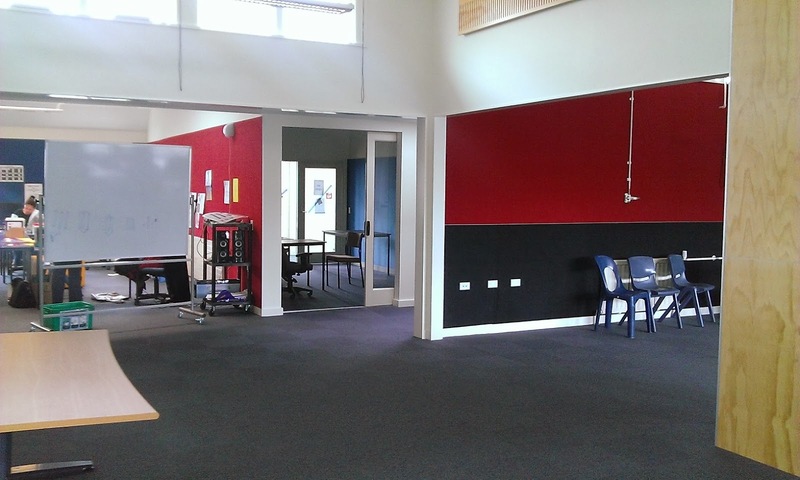 The design of the environment can enhance or make this easier on the students and the teachers. Wireless to me has been key. 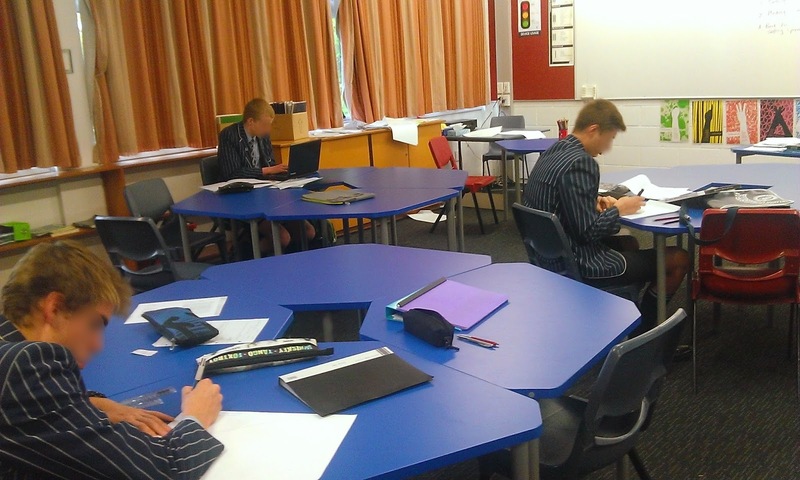 I am lucky enough to teach in a school with sound wireless and access to devices for students and 2 year levels of BYOD. I teach in an Office 365 school and this year all of my classes are using the Class OneNote for classwork, planning and draft assessments. Assessments will be submitted into Moodle as well as handing in a paper copy. My students including the BYOD class have books and pens to write in! It is not a case of rows of screens but how the devices are used. 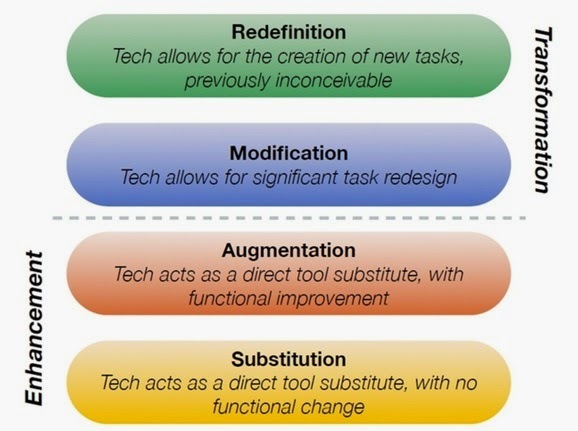 Keep in mind the SAMR model. When looking at designing the classroom or creating new buildings I encourage you to think about your school, your students, your traditions and values as a community. How are you going to support the teachers and how are you going to encourage teachers to help/support each others. 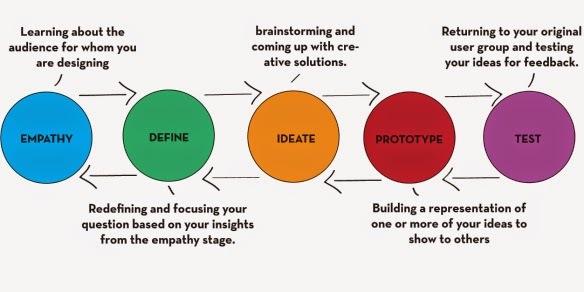 It is about encouraging innovation, collaboration and knowledge building/creation for students and teachers. What does my classroom look like? 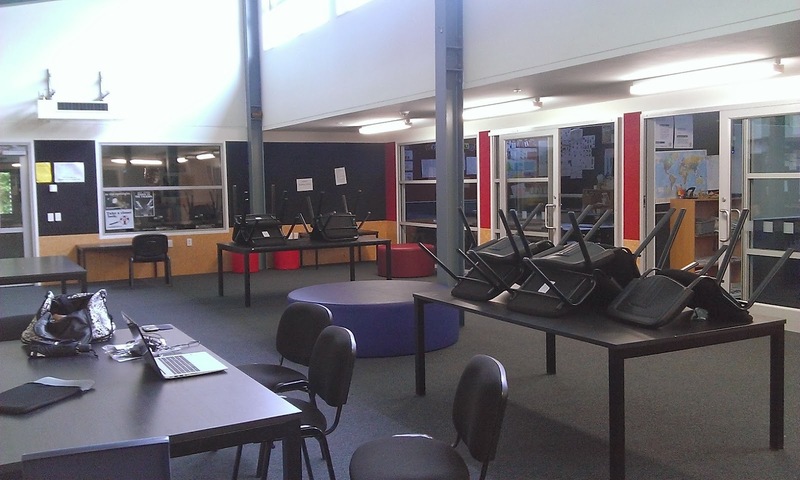 The teacher desk and chair has gone. Usually students arrive in class and sit at at desk. They are given instructions and then move to an appropriate space. The lessons for the day is in the class OneNote and available for students prior to the lesson. All whiteboard work is done on the OneNote using the Surface tablet. I am not restricted to the front of the classroom. All lessons are then put into an archived section in the class OneNote. 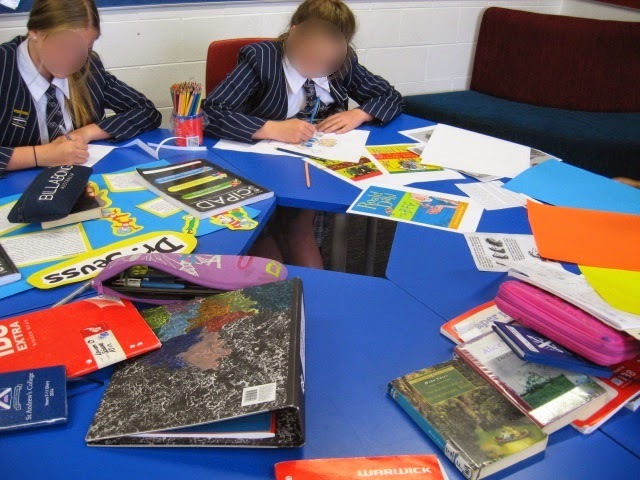 My Year 10s this term come into class and get out books and pens and spend the first 6mins writing on anything of their choice anywhere in class they choose. I do have starters which are on the OneNote for those who are unsure. As a teacher I am constantly moving around the class sitting at the student tables or with them on the couch. Marking is done on OneNote and I keep a record of when I have given feedback to students. I post on my other blog about my classroom practice http://tamypblog.blogspot.co.nz/. 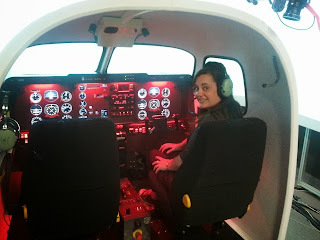 After visiting several schools I really gained the most from visiting SCIL. They are working with changing single cells classrooms. I also really liked their approach with staff. I also visit a university in Adelaide. As a high school teacher I was interested to see what the tertiary sector where doing. 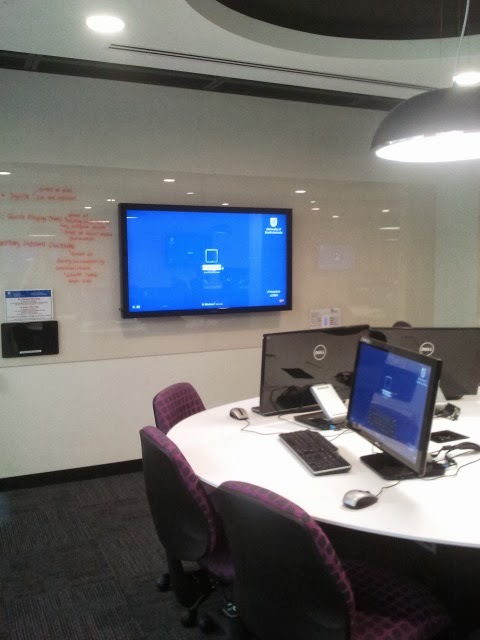 This university has built a new building and are changing the way tertiary students learn. 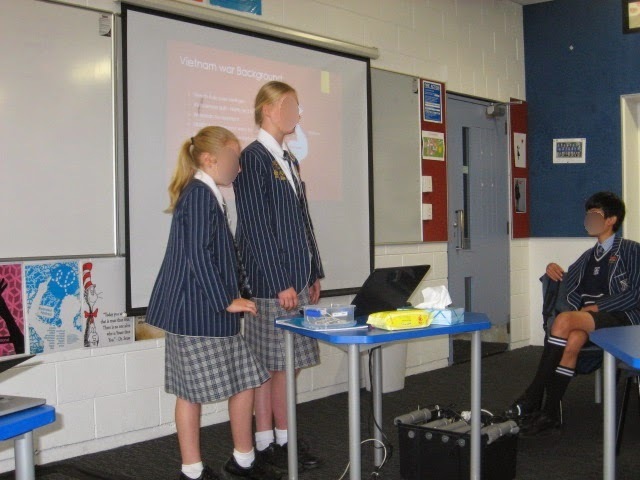 Sam McNeill has created a blog which shares what staff at St Andrew's College are doing. 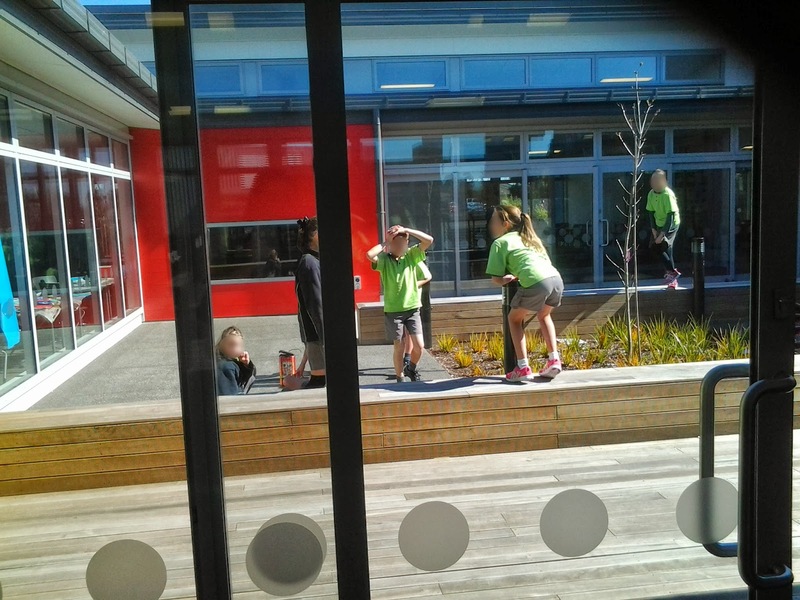 This is great as it shows us what is happening in our school. It also builds relationships as staff go to other staff for ideas or guidance in trying something new. On our Moodle site we have a list of blogs that teachers within our school have. This is another great way of building a community and sharing knowledge/ideas. 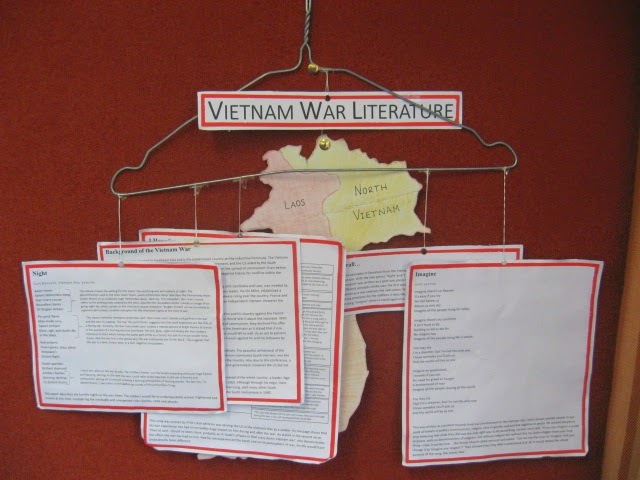 Year 10 working on research - students chose a genre or author or text type then created focus questions and chose how to present the work. It always amazes me how much time flies during term! I look at the date of my last post and wonder how people keep their blogs up to date! 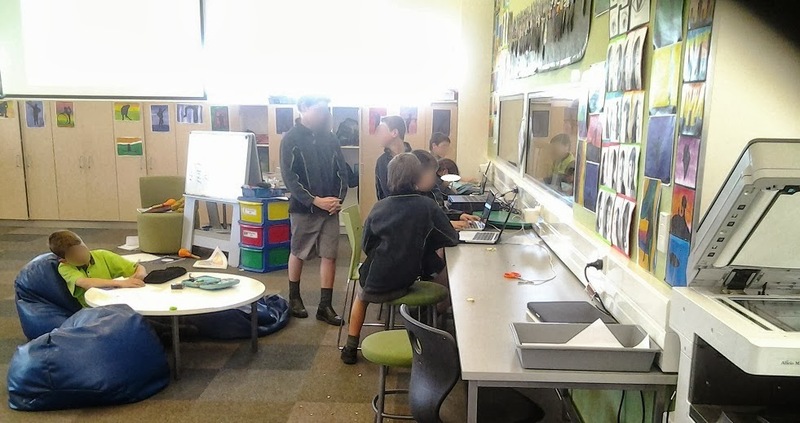 A couple of weeks ago I was lucky enough to present my inquiry work on 'flexible learning spaces' at the NZ Festival of Education in Christchurch. It was just a short slot in a panel discussion of 3. 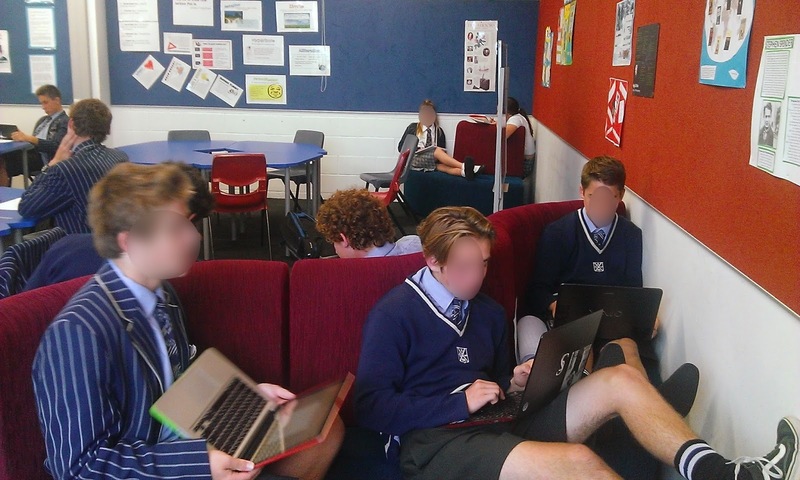 The term Modern Learning Environment: Modern Learning Environments are not new. I remember attending a modern learning environment primary school in the UK. 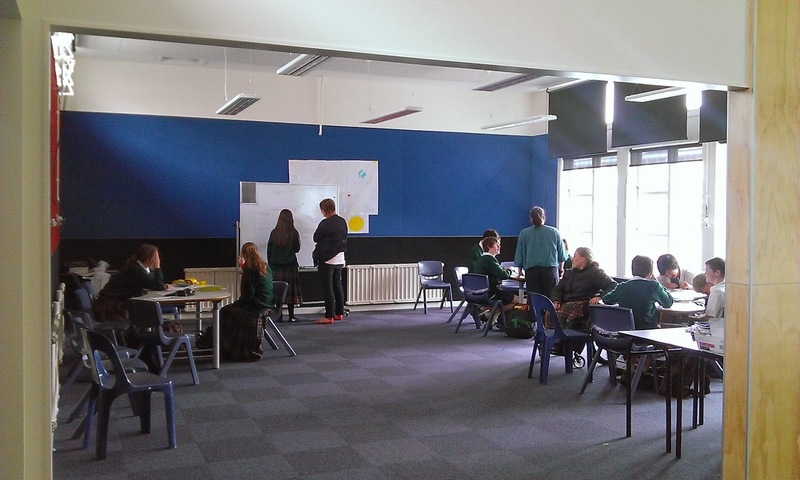 The school had a large open plan layout with multiple flexible learning groups. Instead I have settled on the term 'Flexible Learning Environment'. This is a term that is well used in relation to online learning but works just as well for the classroom. 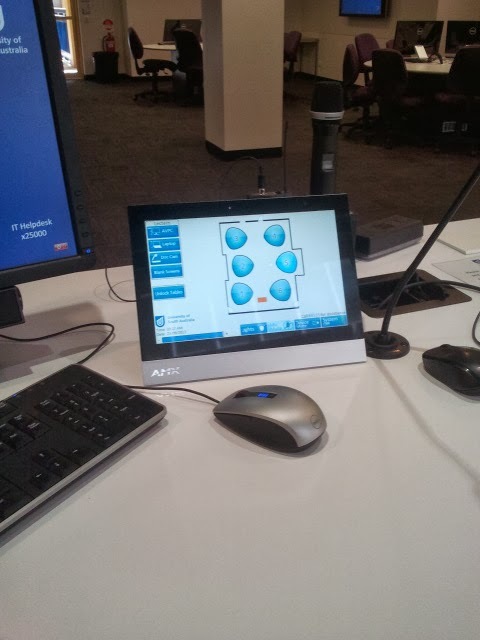 I want the classroom to be flexible in what students learn and the equipment they use. Time: There is so much pressure to change, and change quickly, to jump on the band wagon and make drastic changes, purchase new equipment or knock down walls. There is nothing wrong with investigating what school locally and internationally are doing. What problems they have encountered and solutions they have discovered. Trialing a particular layout or furniture on a small scale for a period of time could be more beneficial than making a lot of changed quickly. I found a lot of schools where willing to share what they are doing and respond to emails without having to go on expensive organised tours. Take some time. One of the first things you notice about the ASMS is space. There are almost no internal walls and no hallway areas, instead there are learning commons. It caters for students from Year 11-13 (Year 10-12 Australian) and students apply to enrol in this school. The location of the school is interesting as it is on the Flinders University Campus and students from ASMS can use the facilities at the university. The second thing that I notice was how welcoming the staff were and how willing they were to share what they do and answer any questions. I was incredibly grateful to the staff for all they did for me. A program had been put together for me to experience and learn about all aspects of the school. It quickly became apparent that ASMS had a clear vision that infiltrate all aspects of running a school, from the classroom teaching, planning, to professional development. 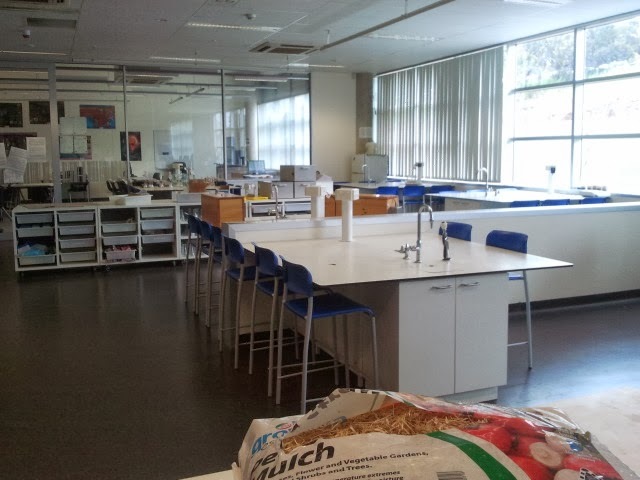 The science lab in the picture is interesting as it can cater for 2 classes. 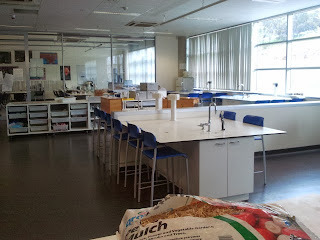 However, when I visited 1 student was in the lab with a tutor and the rest of the class were learning outside the lab but everyone could see everything due to the large glass walls. 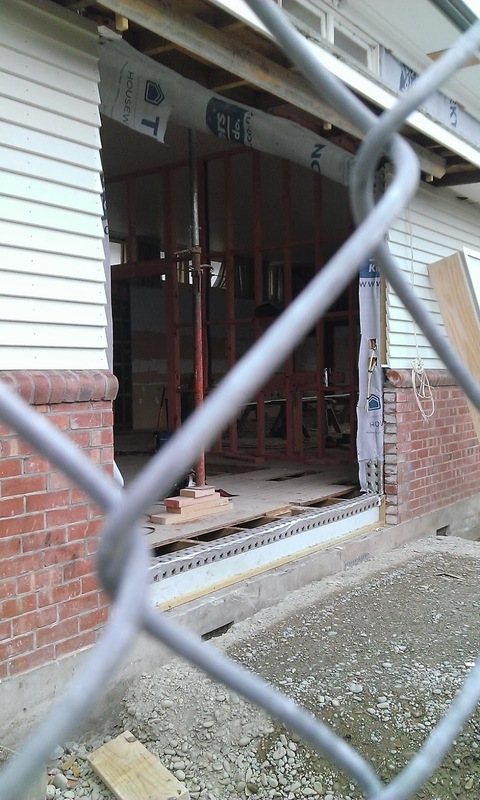 You can see from the next 2 photos that the open plan environment is light and spacious. 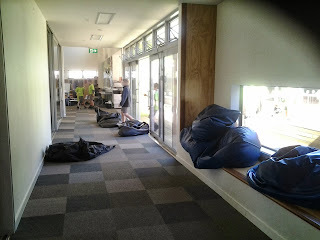 The furniture is about to be replaced and each 'common' will have its own colour. Teachers plan together not as subject areas but cross curricular. They share the planning and teaching. It was interesting to observe a math class where the two teachers had combined their classes and were working together. The media room was probably the only room with 4 walls and even one of these was movable. The teacher is quietly innovative. He uses Facebook not just as a communication tool with students but to get the students opinion and guidance from what should be covered, how and what equipment should be used/purchased. He also uses Facebook/twitter to share with students his professional development. This was quite accidental at first. However, students were interested in the fact that their teacher was 'learning' and they were also interested in what he was learning; following the links and participating in the online discussion. 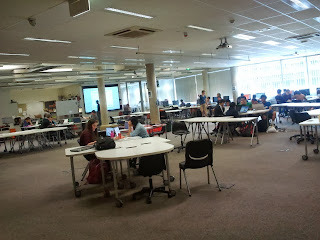 University of South Australia, Adelaide. The University of South Australia in Adelaide was a valuable place to visit. They are currently in the process of building a new $80 million learning centre to primarily house the Business and Accounting subjects. Whilst it is only possible to see the exterior, they do have a model room set up. 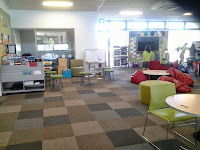 Stuart Dinmore gave up some valuable time to show me this learning space and answer all my questions. 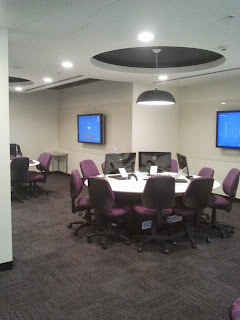 The learning space has 6 learning hubs each with 3 touch screen computers and a flat screen tv. The tv's are for group presentations, group work or the lecturer can control them from a central point. The wall have a clear perspex cover that can be used with whiteboard pens. 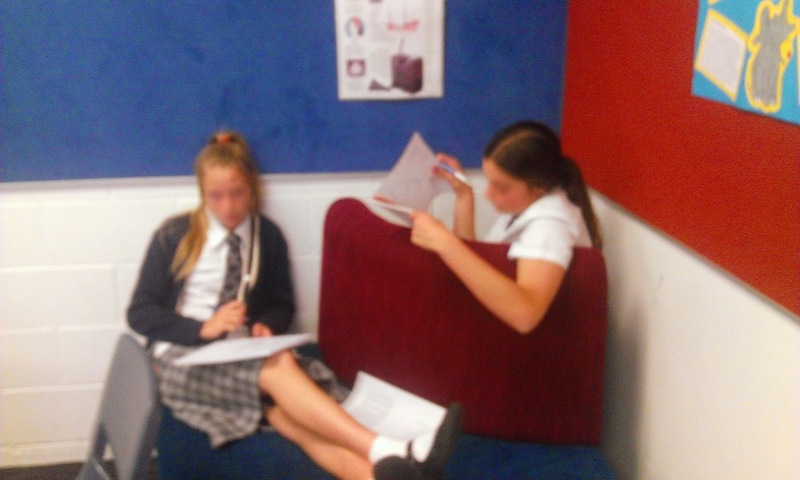 Students will be expected to learn in a flipped classroom manner. The lecturer issues a podcast to be listened to before class and then during class-time the students can work on various activities. How to get staff on board, and up to speed? How to get students on board and up to speed? 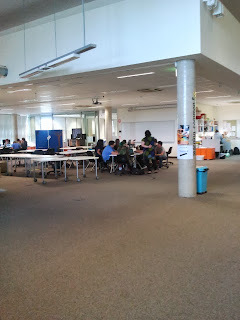 Students have a preconceived idea of what university is, and that is sitting in a lecture theatre, going to tutorials and working on assignments. 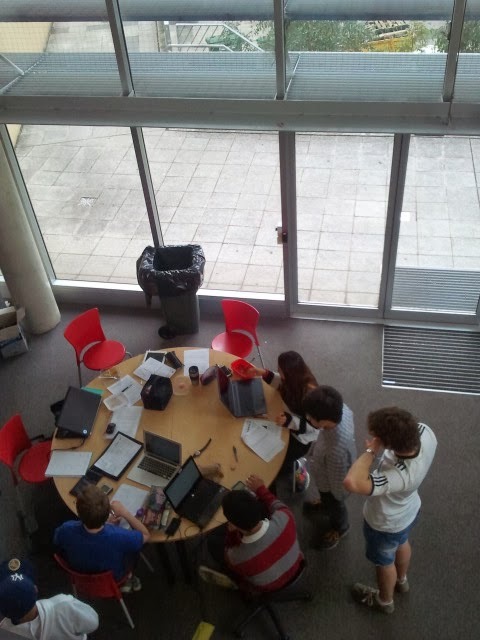 This type of active learning is not something that as yet is linked to the 'university experience'. Staff are used to giving a lecture and then running tutorials. This new learning environment to some might seem like an increased work load; as students now listen to lectures in their own time and the lecturer time is filled with teaching/learning. The activities now needing to be designed by the lecturer. What I hadn't realized in South Australia is that salaries, funding and ranking can be based around student feedback on the course/lecturer. 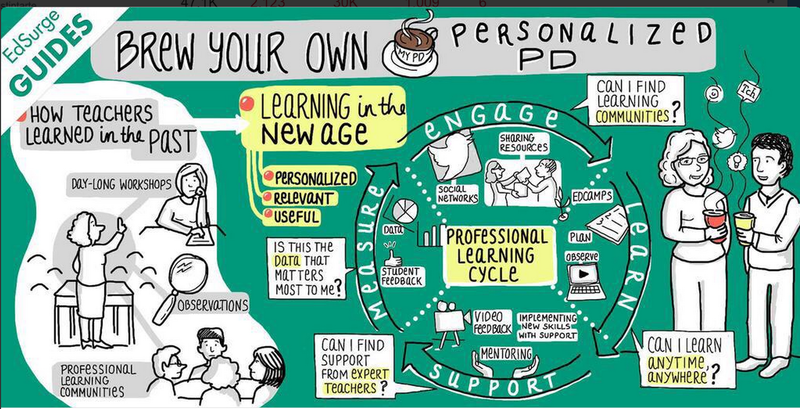 If students don't like the new way of learning will this have an unfair impact? These are challenges that secondary schools are also facing. 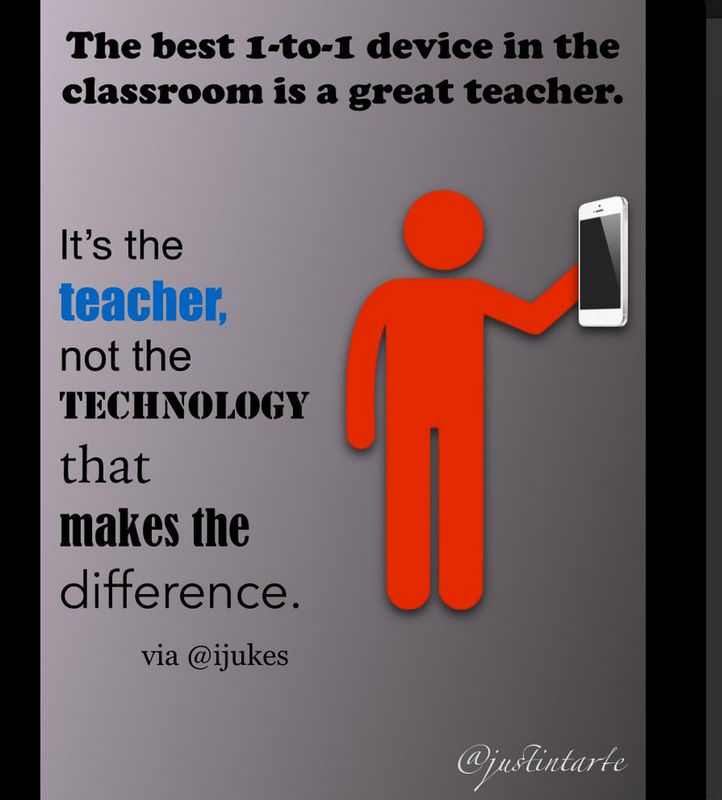 As we go 1:1 with devices and reshaped our curriculum to create authentic and collaborative learning programs to prepare our students for their futures; our learning environments need to change. However, like our students we all have a variety of skills and creating a new set of skills to teach in these new learning environments takes time. We wont all get there at the same time but are should be working towards a common goal. 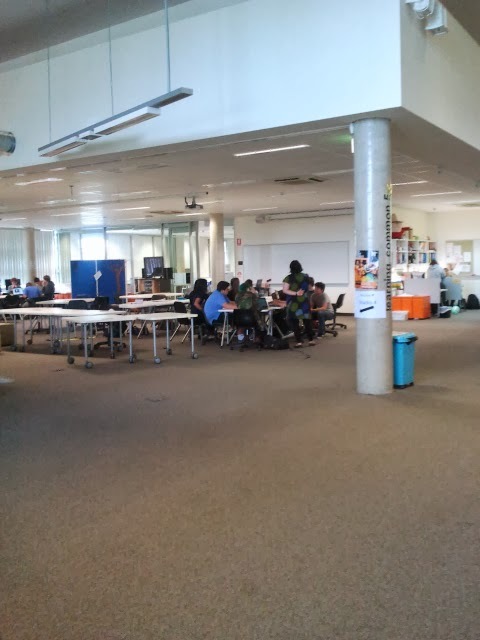 It is about support you get on the way and Stuart at the UniSA is working hard at providing this support to the staff. I think that as schools are changing their learning environments, they will demand a tertiary education inline with what the UniSA are creating. They are an innovative university taking the first step to creating an education for students that will help support the knowledge economy and prepare young adults for their chosen career. 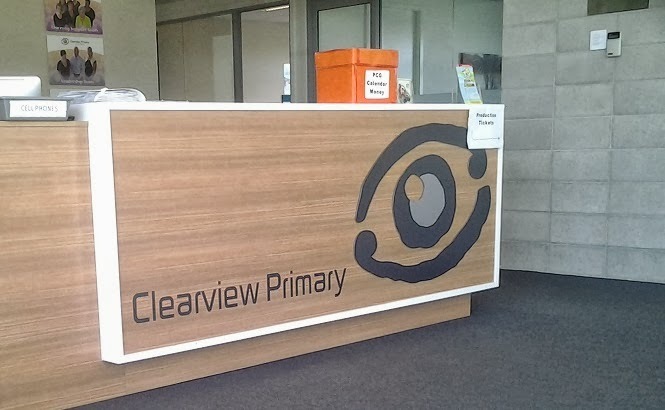 Clearview Primary school is located in Rolleston just outside of Christchurch. It is a 0-8 school which has recently opened a new building. The Ministry of Education is no longer building single celled classrooms instead is moving towards classrooms that enable a flexible learning environment for students. When I toured this building several things struck me, it was light, comfitable and all students were in a variety of places and spaces. Clearview is used to having people tour the building and the students were not phased at all. The building a square and in each corner are two classroom spaces. One of these smaller spaces has 2 sliding glass doors which enable it to be used separately. Wide corridors then connect these 4 corners with other open spaces, including a communal kitchen area for students and staff. In the middle of the building is an open air courtyard designed by one of the students at the school. 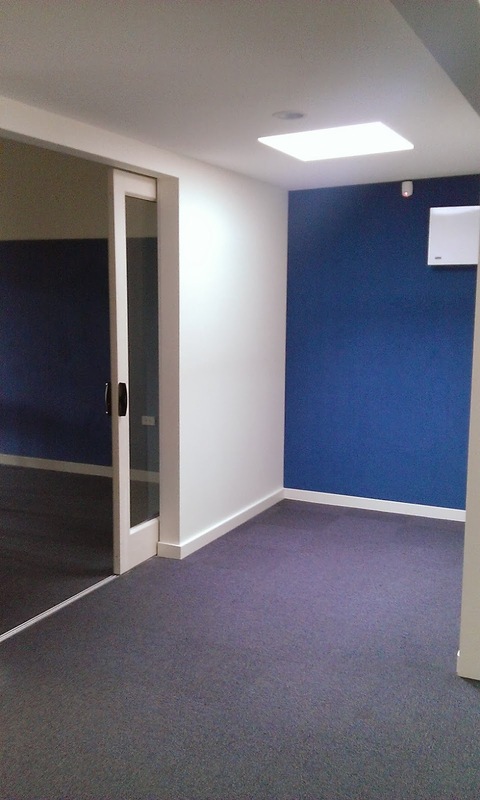 What you can see from the pictures is the range of seating and working areas . A variety of heights for tables and chairs as well as a variety of colour. 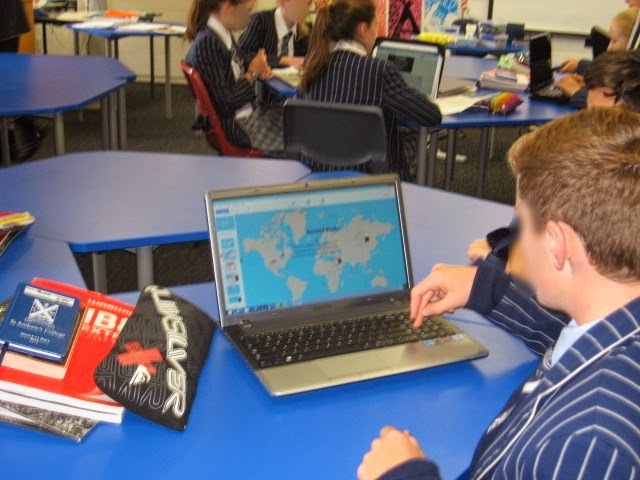 With a change in classroom design the teaching and learning taking place has also changed with more collaborative planning and teaching by the teachers. Students, for example can choose workshops which are taught by different teachers this the lends itself to the strengths/interests of individual teachers. A challenge has been working out the reporting but this has been overcome by using Google docs. 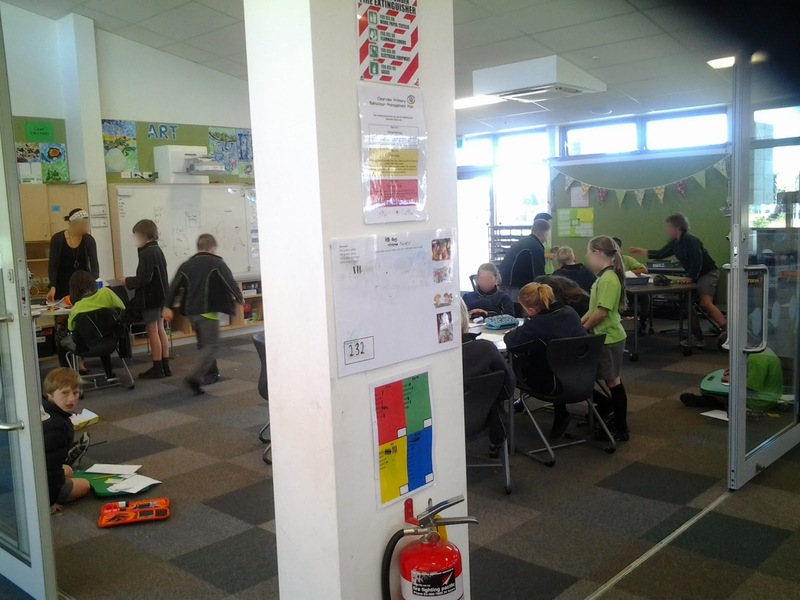 It was interesting as a high school teacher to take a look around a primary school and see how their learning environment has changed, how it has impacted on planning/teaching and that the students enjoyed what they were doing.